Kavala (Greek: Καβάλα), is the seicont lairgest ceety in northren Greece, the principal seaport o eastren Macedonie an the caipital o Kavala regional unit. It is situatit on the Bay o Kavala, athort frae the island o Thasos. Kavala is locatit on the Egnatia motorwey an is a twa-oor drive tae Thessaloniki (160 km wast) an forty minutes drive tae Drama (37 km north) an Xanthi (56 km east). 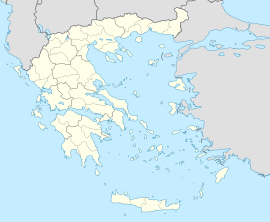 The province o Kavala (Greek: Επαρχία Καβάλας) wis ane o the provinces o the Kavala Prefectur. Its territory correspondit wi that o the current municipality Kavala, an pairt o the municipal unit Eleftheroupoli. It wis abolisht in 2006. Ootside the airport Megas Alexandros. European route E90 runs throu the ceety an connects Kavala wi the ither ceeties. The Egnatia Motorwey (A2) lees north o the ceety. Ane can enter the ceety frae ane o twa Junctions; 'Kavala Wast' an 'Kavala East'. Kavala haes regular connection wi Interregional Bus Lines (KTEL) frae an tae Thessaloniki an Athens. The Kavala Internaitional Airport (27 km frae Kavala) is connectit wi Athens bi regularly scheduled flichts an wi mony European ceeties bi scheduled an chairter flichts. Kavala is connected wi aw the islands o the Northren Aegean Sea wi frequent itineraries of various ferry lines. Kavala F.C. : AO Kavala (Greek: Athlitikos Omilos Kavala, Αθλητικός Όμιλος Καβάλα), the Athletic Club Kavala, is a profeesional association fitbaa club based in the ceety o Kavala, Greece. The club plays in the Municipal Kavala Stadium "Anthi Karagianni". Kavala BC. : Enosi Kalathosfairisis Kavalas (Greek: Ένωση Καλαθοσφαίρισης Καβάλας - Basketball Union of Kavala) is a Greek profeesional basketbaa club that is locatit in Kavala, Greece. The club is kent as E.K. Kavalas an aw. The club's full Greek name is Ένωση Καλαθοσφαίρισης Καβάλας. Which means, Kavala Basketball Union or Kavala Basketbaa Association in Scots. The club competes in the Greek League. Austrick opened a post office in Kavala afore 1864. Atween 1893 an 1903, the French post office in the ceety issued its awn postage stamps; at first stamps o Fraunce owerprintit wi "Cavalle" an a value in piasters, then in 1902 the French designs inscribit "CAVALLE". This airticle incorporates text frae a publication nou in the public domain: Smith, William, ed. (1854–57). "article name needed". Dictionary o Greek an Roman Geografie. London: John Murray. ↑ 1.0 1.1 "Απογραφή Πληθυσμού - Κατοικιών 2011. ΜΟΝΙΜΟΣ Πληθυσμός" (in Greek). Hellenic Statistical Authority. Wikimedia Commons haes media relatit tae Kavala. Wikisource haes the text o the 1911 Encyclopædia Britannica airticle Kavala. This page wis last eeditit on 5 Mairch 2018, at 00:50.